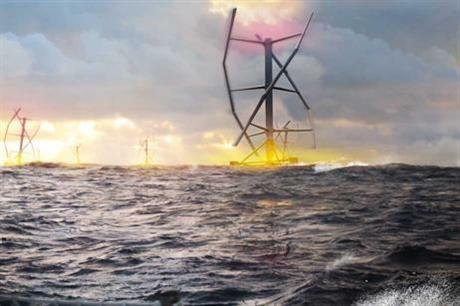 FRANCE: A test site for floating wind turbines in the Mediterranean has been approved by the regional authorities in France. The Mistral site, which will be able to accommodate two turbines with a total capacity of up to 10MW, is earmarked for the prototype of the 2MW Vertiwind vertical-axis turbine being developed by Nénuphar and EDF Energies Nouvelles (EDF EN). The Vertiwind turbine is set to be installed in 2017, according to EDF EN, which co-owns the site, with Nénuphar as the majority shareholder. The site, which will also be open to other developers, is located five kilometres off Port-St-Louis, near Fos-sur-Mer, in water 50-65 metres deep. It has been authorised for eight years, including construction and dismantling, although this period can be extended. The aim is to test the performance of the prototypes in real conditions, including the collection of "extensive technical and environmental data, which is practically non-existent now," according to the decree.